I've never tried Ardell Eyelashes before, I normally just opt for Eylure purely because of the routine. Also I normally choose a dark and spikey eyelash style, think the Girls Aloud Sarah eyelashes. However Im really impressed by these Ardell ones. They feel really fluttery and light, which give a really soft, girly doll like feel to the eyes. I think these would be perfect for daily wear if you have short lashes and want something a little dramatic yet still natural looking. They look quite scary in the packaging but relatively safe appplied to the eyes. The main reason I like these is they really dont feel like your wearing lashes at all, They aren't heavy and because they are human hair when they are applied the Ardell Lashes just feel like normal eyelashes. I don't really like the glue packaging as it isn't reusable unlike the little vials you get with Eylure lashes, Although the actual lashes come in a little plastic box which makes storing them for reuse really easy. they do look a bit scary in the box, a bit spiders legs-y, but they look really nice on! 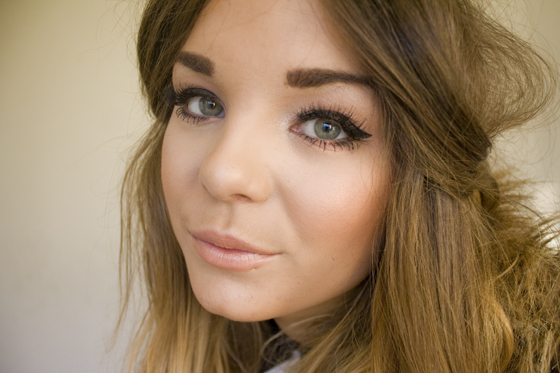 Would really like to try these lashes because they look a bit more natural than some strip lashes. these are actually my favourite falsies they are so natural and glamorous. they are very pretty, and very natural looking! 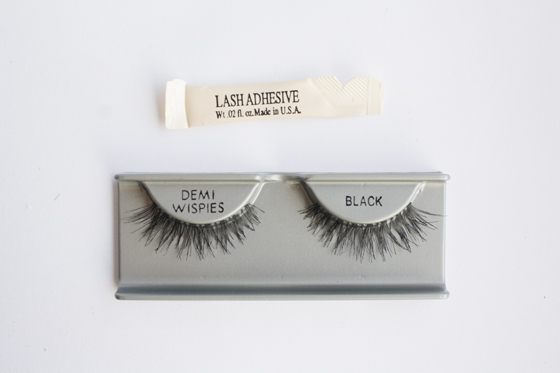 I hardly ever wear fake lashes and have an 18th party coming up, i think these will be a perfect start! They look lovely.. and really natural! Oooo these are gorgeous may have to try these!! these do look amazing, they're pretty natural looking. your makeup is flawless, by the way lily! They're really pretty and delicate, they suit you :) do u have any tips on applying false eyelashes? I'm so rubbish, I've never done it successfully! These look so pretty and not at all artificial. Oh, I wish i'd seen these ones. I have a couple of pairs of Ardell lashes and love them! Real human hair (though slightly disturbing!) is so much better and lighter. I totally agree with the glue though, it's a let down that they aren't resealable/reusable! Those look amazing, very natural. I love them! They look almost real and they're so beautiful! These are my favourite false lashes. 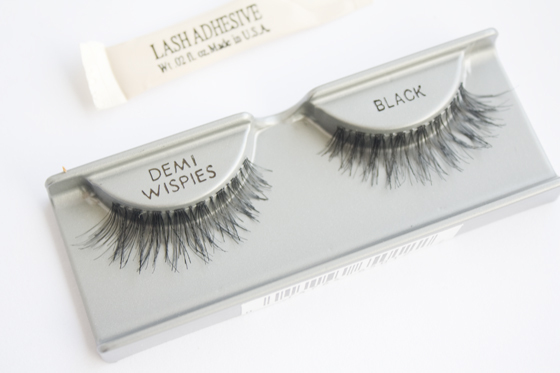 I buy "knock offs" of them from eyelashes-direct.co.uk though, cause you can get identical ones for half the price. Ive been admiring these for over a week now and wasnt sure whether to get them or not. I ended up settling for a different Ardell pair because i thought these would be too much so im delighted that you did this post because im definitely going to pick them up now after seeing your photos! I re-use the glue with mine and always have done - as long as you don't rip the top off completely it sorta just reseals itself until the next use.